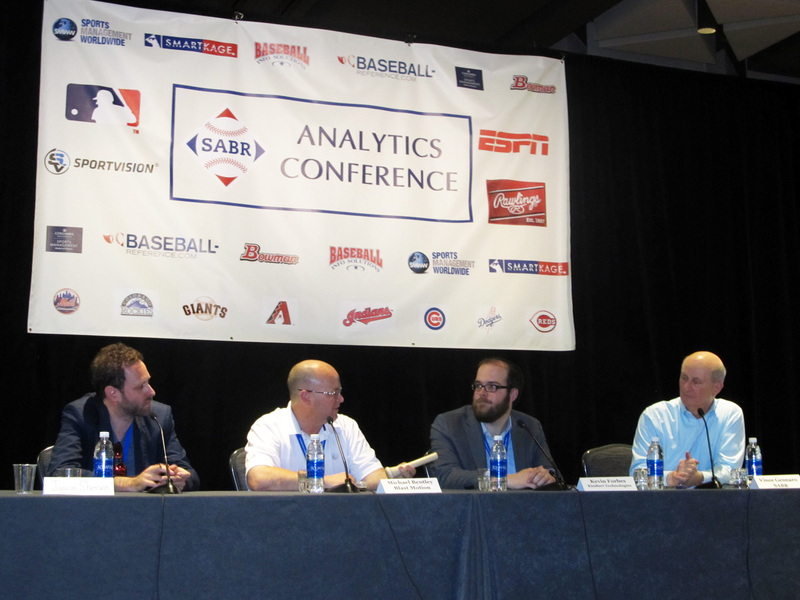 At the fifth annual SABR Analytics Conference on March 11, 2016, our Technology Panel explored ways in which technology will impact the game of baseball. Panelists included Michael Bentley, the founder of Blast Motion, a San Diego-based company that has helped develop some of the most innovative motion capture and analysis systems; Kevin Forbes, a Product Specialist with Kinduct Technologies, a Canadian-based technology company that delivers flexible solutions in health, wellness and high performance environments; and Jason Sherwin, Chief Executive Officer and co-founder of deCervo, which focuses on problems of high-speed decision-making, such as hitting a thrown baseball. The panel was moderated by SABR President Vince Gennaro. For more coverage of the 2016 SABR Analytics Conference, visit SABR.org/analytics. This page was last updated March 19, 2016 at 4:28 pm MST.